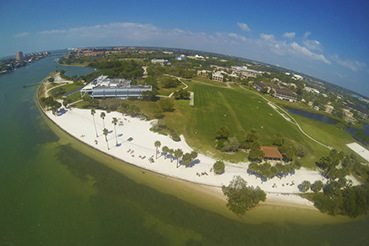 Eckerd College is nestled between Fort De Soto Park, America’s No. 1–rated beach in 2005, and downtown St. Petersburg—an arts, cultural and entertainment destination. St. Petersburg boasts dozens of outdoor festivals, concerts, restaurants, Major League Baseball games, theaters, galleries and museums, including the Salvador Dali Museum, home to the world’s most comprehensive collection of works by the late Spanish surrealist Salvador Dali. Historic Ybor City, one of only two National Historic Landmark Districts in Florida, is located in Tampa, just a quick drive northeast across the bridge over Tampa Bay. Ybor City has been known as Tampa’s Latin Quarter for more than a century, offering an exotic blend of aromas, flavors, sights and sounds. The Tampa Bay Buccaneers and Tampa Bay Lightning draw hundreds of thousands of football and hockey fans to the Tampa area. 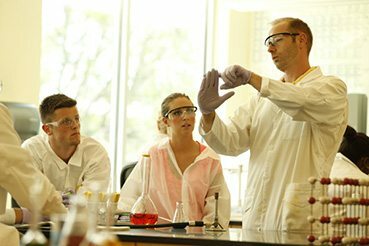 The state of Florida offers an endless list of day-trip adventures, nature shows, sandy beaches, watersports activities, and recreational parks and trails to the resident and visitor alike. 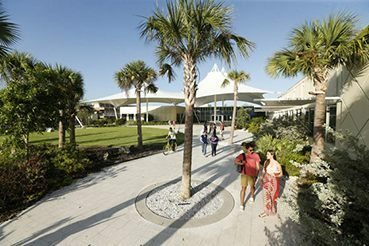 Whether it’s by foot, bike, kayak or car—whether you’re the solo traveler or part of a group excursion—Eckerd is at the center of it all.